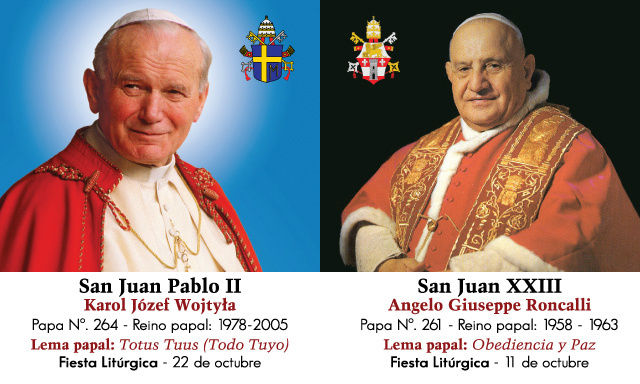 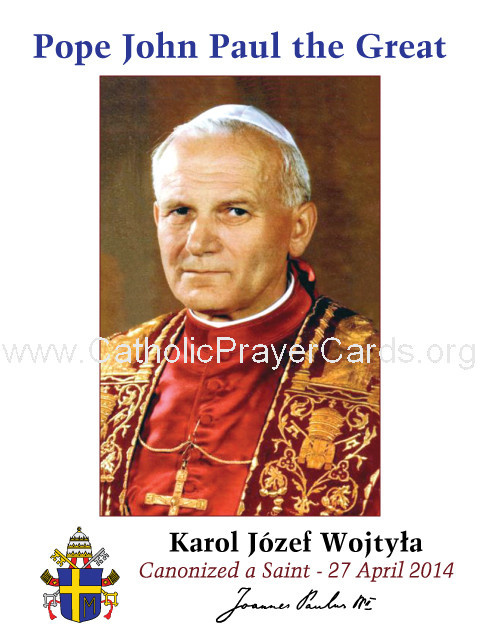 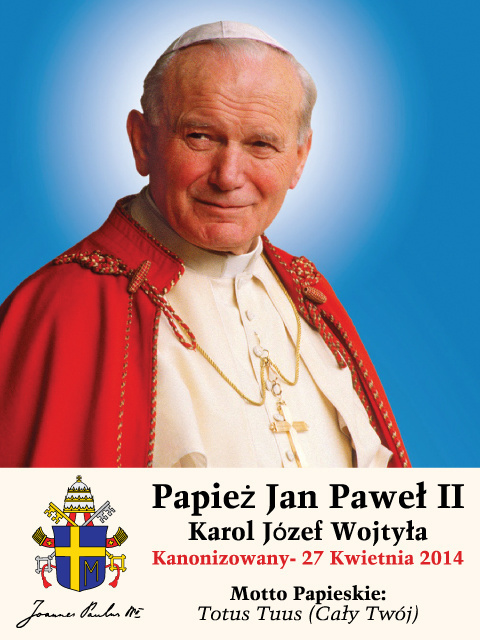 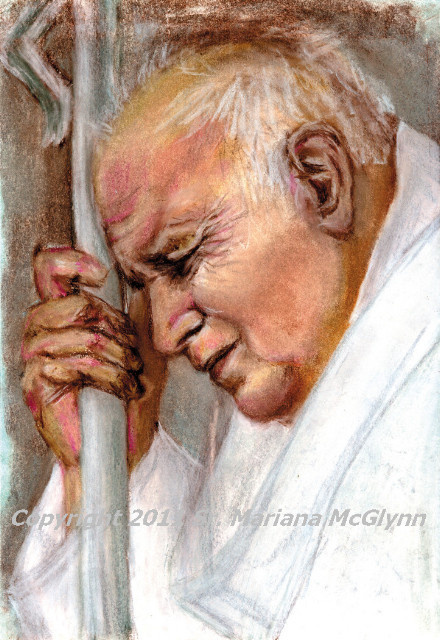 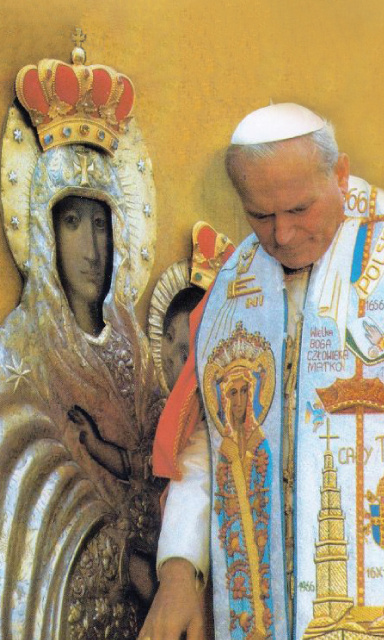 Celebrate the Canonization of Pope John Paul II into Sainthood on April 27, 2014 by purchasing our commemorative Pope John Paul II Prayer Cards, Holy Cards, Magnets, Bookmarks, Novena and Litany at 40%-70% off. 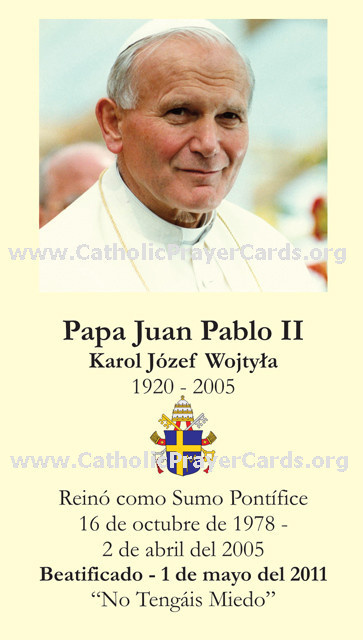 Honor our beloved Pope's entry into Sainthood. 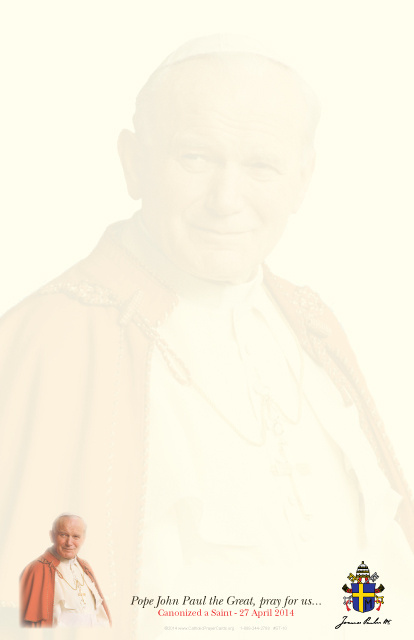 The great insights he provided us all will never be forgotten. It's no surprise that Pope Benedict XVI bypassed the normal 5 year waiting period for Canonization since Pope John Paul II was so revered. 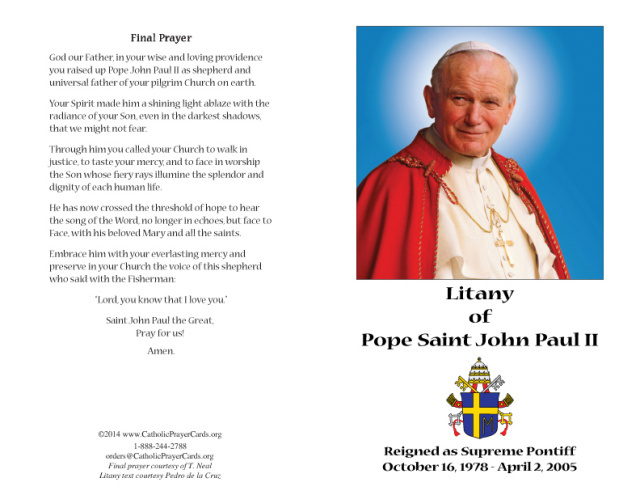 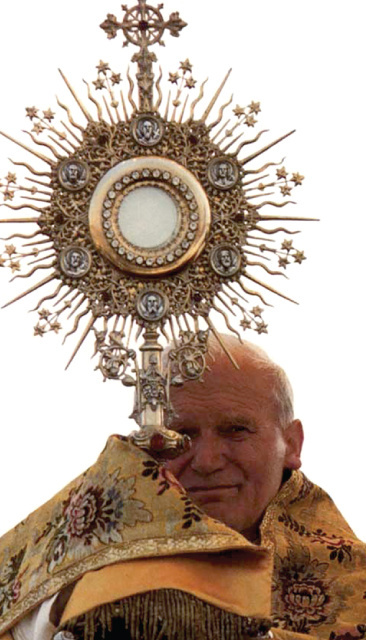 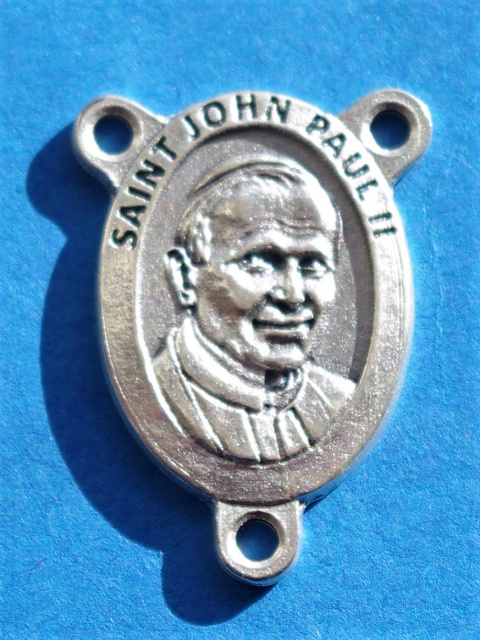 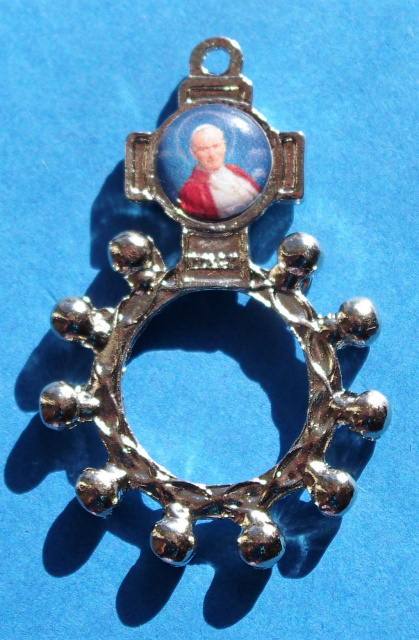 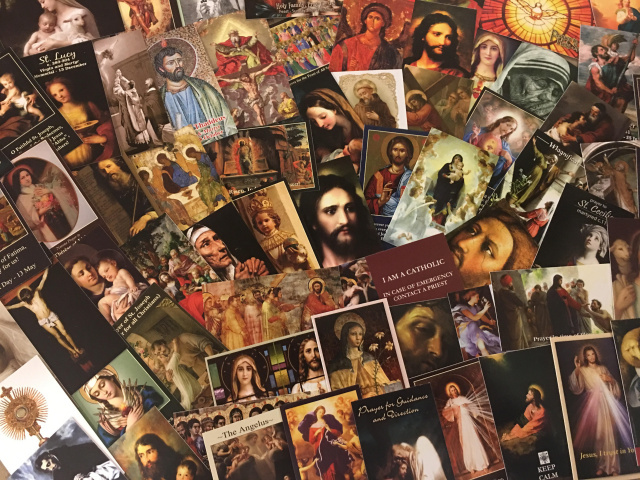 Save 40%-70% on all Pope John Paul II items including holy cards, prayer cards, novena, litany, bookmarks, magnets and more Quantities are selling out fast with Canonization on April 27, 2014 drawing so much attention.